Could Apple Be Forced To Delay New Handset? The iPhone is always the handset that is the most hotly anticipated when it comes to new ones being released, so it is no surprise that investors in Apple shares are concerned regarding rumours that the new iPhone’s release could be delayed for as long as a couple of months. Since Apple were floated on the stock market it has become easier for everyday people to invest in their shares, especially through online platforms like CMC markets, so it is no wonder this news has sent ripples across the globe. Not only are severe delays expected from the release of the iPhone 8 but it is also expected that when it is released there will not be enough handsets to keep up with demand. Delaying the release of the handset will not only make the company look back but it will not help the recent dent they have taken in profits as the profit will not be counted until the following quarter. This is a large blow for Apple who are facing tougher competition by Samsung by the day. Why is the handset so delayed? How will this affect share price? The reason the iPhone 8 is so hotly anticipated by Apple enthusiasts is because it has made a huge jump in upgrading technology. 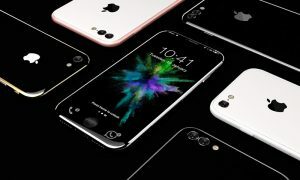 Most of the previous iPhone releases have been small builds on existing tech that came with the previous handset, but to remain more competitive with Samsung this release is set to have some of the biggest hardware and software changes yet. Rather than being able to utilise existing manufacturers for the new handset, Apple have needed to source completely new manufacturers for some of the components that are set to be included into the new handset. Not only do they need to find new companies to make the technology but the new companies also need to do it in new ways so they cannot use the existing blueprint that Apple are using for existing products. Analysts are speculating that the new iPhone 8 will now not be available until October. While this is a good way to corner the Christmas market it is still months after it was expected. It will also still not be available at this time in large quantities. This is likely to come a lot later in November or December time which may end up being quite late for people who wish to get their Christmas shopping in early. Apple’s share price is likely to take a tumble because of this because they were expecting to be able to count some sales in the third quarter. Now the sales of the handset have been pushed back so far Apple will not be able to count the revenue until the last quarter. The last time this happened it hit Apple’s profits. It is expected that they will still hold an event to announce the launch at the same time. Whether this will help share price or not is still to be determined, but it is unlikely investors will be happy with such a severe delay. Another part of the market they need to take into consideration are the huge amount of people who time their mobile phone contracts with new handsets being released. If they have to wait too long after their contract has finished for a new handset then they are more likely to switch to rival companies. This is something that may sound trivial to Apple’s business but this has happened in the past and in every instance of them delaying a handset release they have lost a share of the market. If the speculation about the new features turns out to be true, it is likely that the handset will retail at well over $1000. This may alienate the still very large part of the market who buy their own handsets and use pay as you go sim cards. The delayed release does not look set to have an impact on the retail price which is another factor that could drive a wedge between iPhone enthusiasts and their new handset.